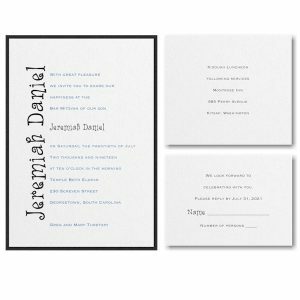 This contemporary Bar Mitzvah invitation is raised printed on White Shimmer card stock layered over Black shimmer stock. The Bar Mitzvah’s name is printed vertically in jumbo letters to the left of the body copy. 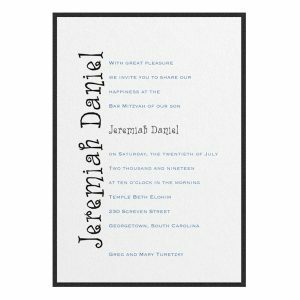 This contemporary Bar Mitzvah invitation is raised printed on White Shimmer card stock layered over Black shimmer stock. 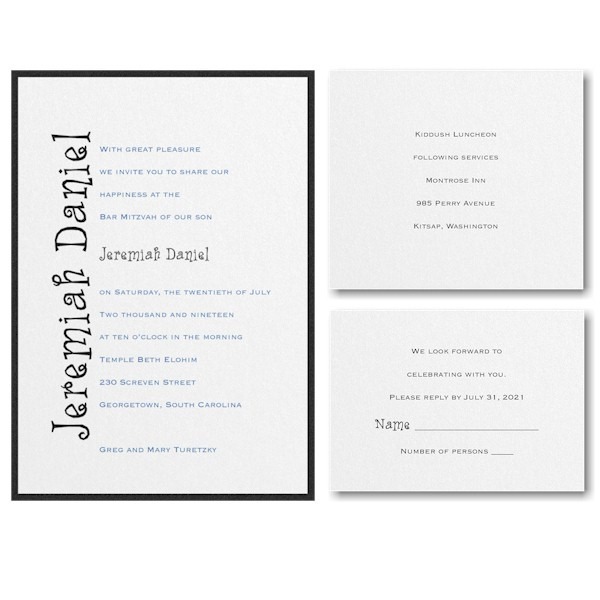 The Bar Mitzvah’s name is printed vertically in jumbo letters to the left of the body copy. Measures 5-1/8″ wide by 7-1/4″ high. 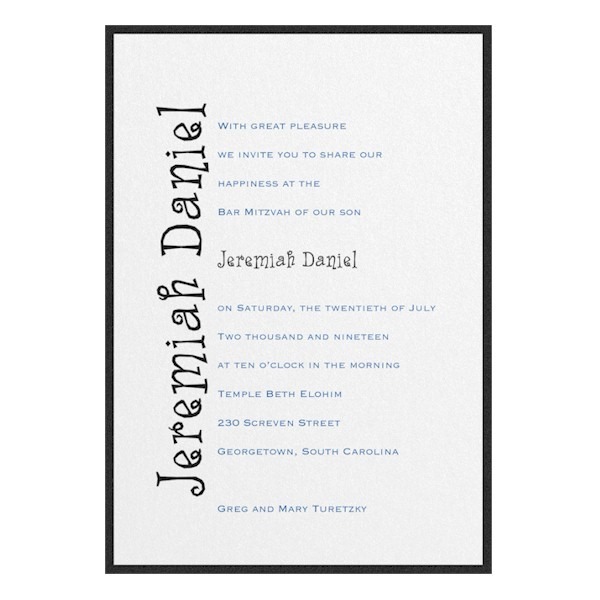 Shown with Blue/Black inks and combination lettering styles CPG/WHI. Hebrew shown is optional and available at an additional cost. 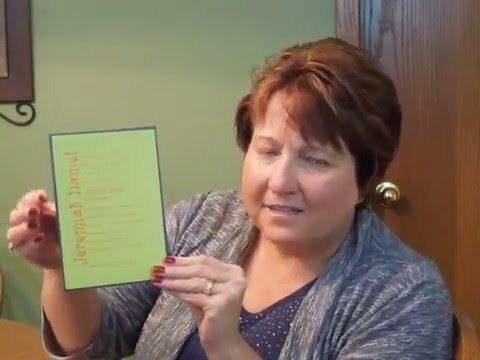 The Reception and Response enclosures will print on single White Shimmer card stock and the Informal notes will print on matching folder stock. This Bar Mitzvah invitation comes with single envelopes. Please note: Customer assembly is required.